2.9 billion tons of cement is produced every year, and it’s responsible for up to 5% of the world’s annual production of CO2. Novacem, a cement substitute made of magnesium silicate, actually absorbs CO2 from the atmosphere. 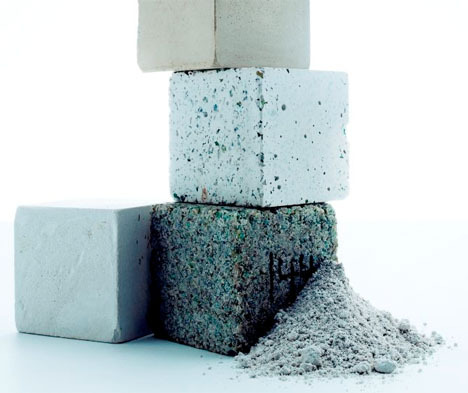 It could potentially achieve one of the single largest reductions in CO2 emissions in construction, cutting out 800kg of carbon emissions per ton of poured concrete and absorbing another 50kg. 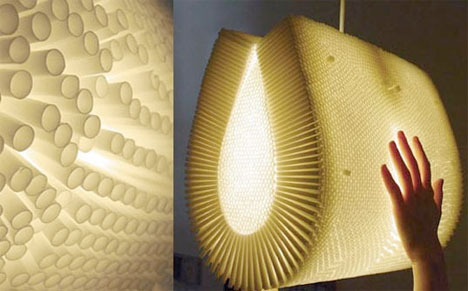 Made from drinking straws, a disposable product, ‘flexicomb‘ is a flexible material that form a translucent honeycomb matrix that could potentially be used to make lighting fixtures and other items. A new material called ‘living glass’ could monitor CO2 levels in the air, automatically opening and closing its ‘gills’ in response to the breathing of humans in the room. 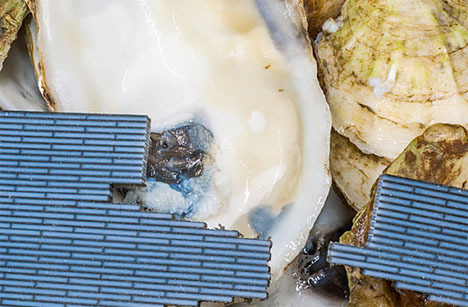 It’s made of silicone embedded with wires that contract due to electrical stimulus, allowing the gills to regulate air quality when carbon dioxide levels are high. Using nothing more than cellulose and water, this hardwood-like material is an eco-friendly alternative to plastics and resins. 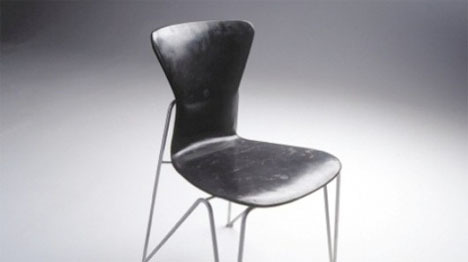 Zeoform is made using a natural glue-free process whereby cellulose fibers stick together in water, and can be sprayed, molded or shaped into a wide range of objects. Human bone is the inspiration behind a new high-tech composite that can be made in just a few hours using a 3D printer. Just as collagen and hydroxyapatite help a natural bone withstand fracturing by dissipating energy and distributing damage over a larger area, so do a soft black polymer and a stiff blue polymer acting like a brick-and-mortar wall. The 3D printed bone material is 22 times more fracture-resistant than any of its parts, and one day, it could be used as the basis of entire buildings.